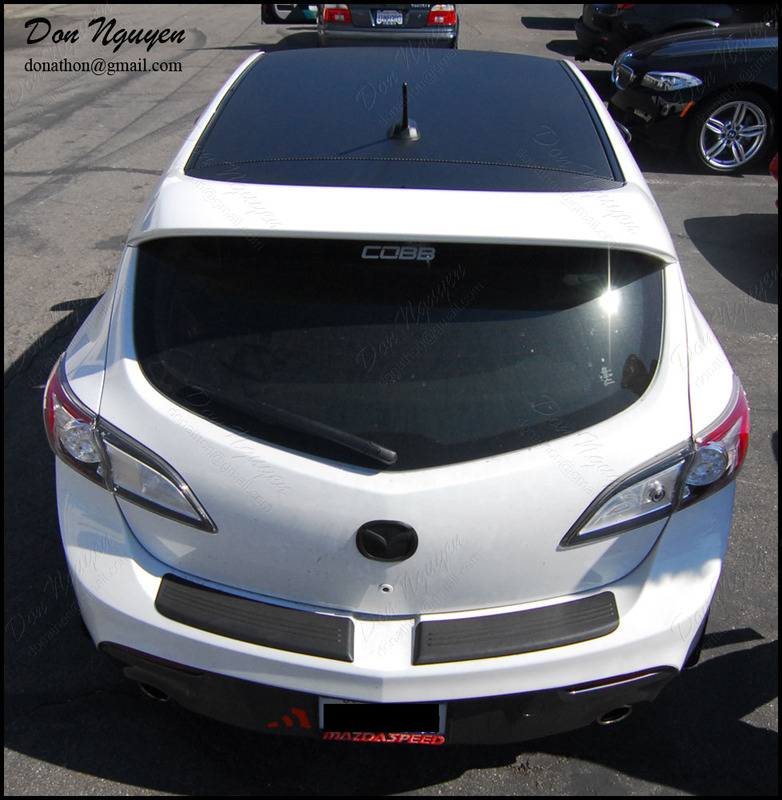 I had this white Mazda MazdaSpeed3 come in to have me vinyl wrap the roof of his car in the 3M dinoc matte carbon fiber vinyl material. The owner of this car drove out to me in Anaheim Hills/Orange County to have the work done. As you can see from the pictures, the carbon fiber weave is more noticeable at certain angles and depending on how the light hits it. 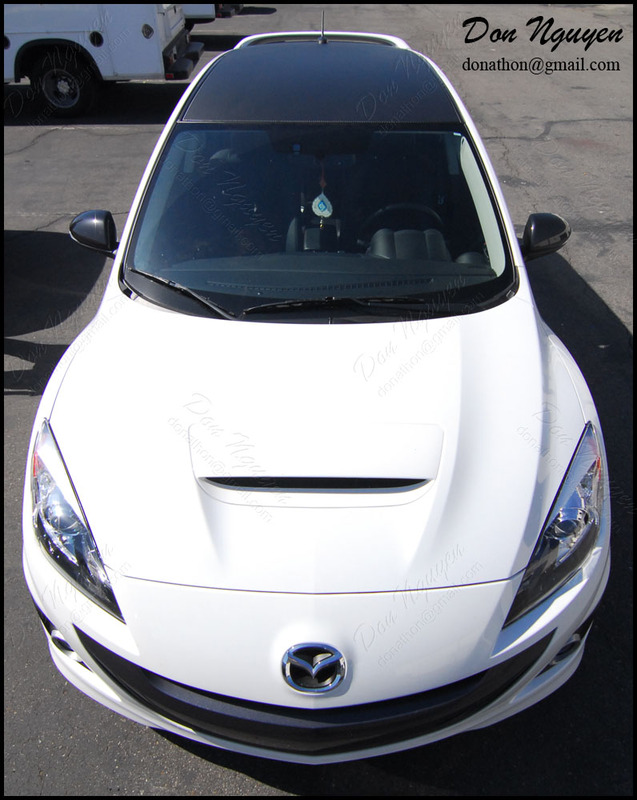 In some pictures it'll look like just a matte/flat black roof, while in other pictures you can really notice the carbon fiber weave/pattern, which gives it a very cool effect.